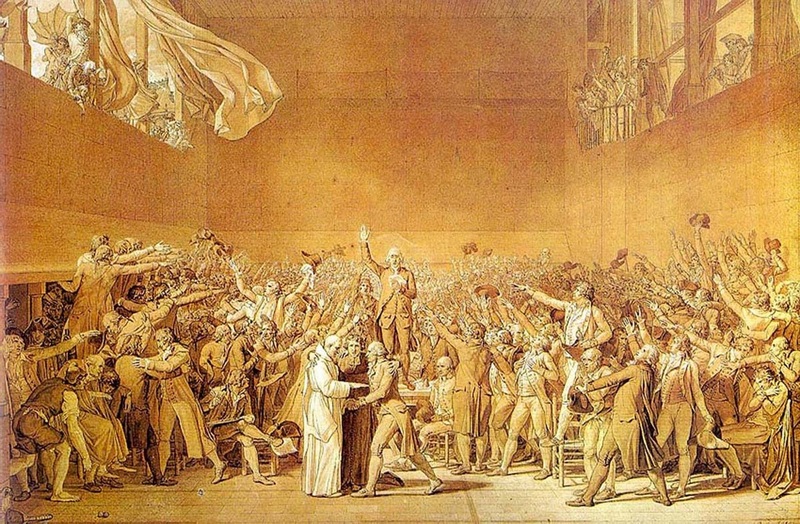 The French "Third Estate" meets in the tennis court to swear their oath to meet until a constitution is established for the country, giving ideological life to the French Revolution. downloads are not available. They are protected by copyright law. You must obtain them directly from me. Don't lose them! See the class calendar for what happens when.